Original work honoring Jirou Horikoshi and Tatsuo Hori. 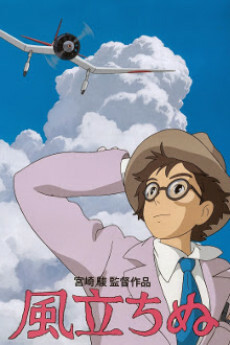 Hayao Miyazaki's 2009 manga mini-series Kaze Tachinu focuses on Jirou Horikoshi, the designer of Japan's famed Mitsubishi A6M Zero fighter plane of World War II. Tatsuo Hori's 1936–37 novelette Kaze Tachinu follows the tentative relationship between a male narrator and Setsuko who suffers from encroaching tuberculosis.